Robert Deniro | From the Fourth Row! 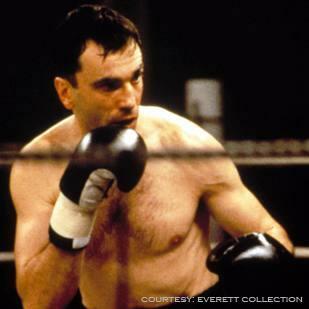 The Boxer is about Terry Flynn played by, three time Oscar Winner for Best Actor, Daniel Day-Lewis. Terry takes the rap for his IRA friends and ends up in prison for 14 years. He gets out and tries to rebuild his life in his old Belfast neighborhood. 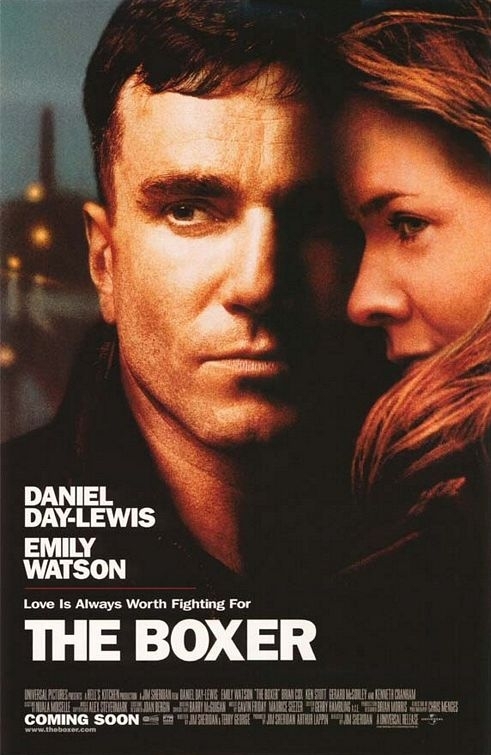 Emily Watson plays his childhood friend who marry’s his best friend. He opens a gym and doesn’t cater to Catholics or Protestants This doesn’t go over very well with his friends in the IRA who he hasn’t denounced yet. Harry the leader of the IRA group resorts to some nasty tactics to get his way. 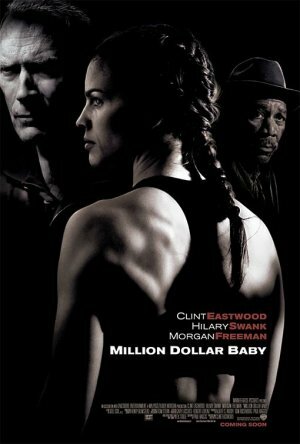 Million Dollar Baby is about young Maggie Fitzgerald, played by 2 time Oscar Winner for Best Actress for this role and her role in Boys Don’t Cry. Clint Eastwood plays Frankie Dunn a crotchety old trainer. He keeps telling Maggie that he doesn’t train girls but, Maggie doesn’t listen and keeps coming back. Morgan Freeman plays the counterpart to Eastwood’s Dunn in Eddie “Scrap Iron” Dupris the gym caretaker. Eastwood is a man of all trades in the rags to riches tale. He directs,acts and scores the movies music in Million Dollar Baby. 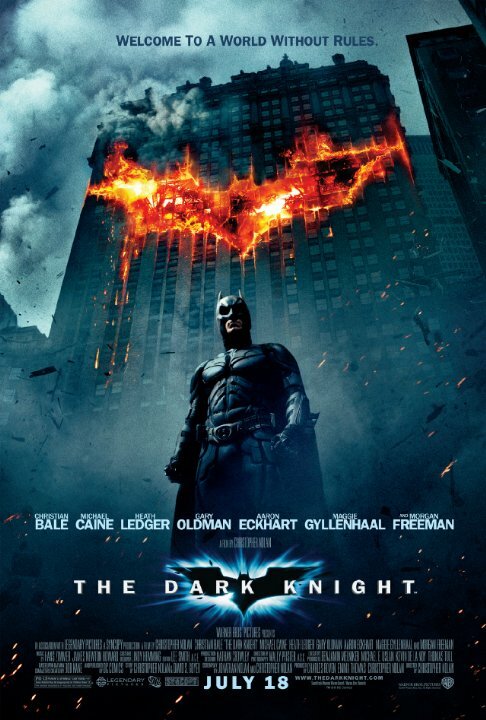 He crafts a heroically tragic tale with an ending you don’t see coming a mile away. Swank and Freeman show why they have won multiple Oscars. 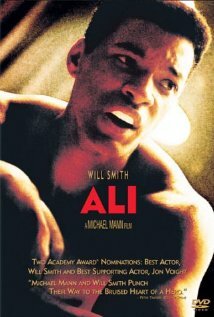 Quiet Man is about an American boxer who kills and opponent. He swears off boxing and goes back to his homeland of Ireland.John Wayne plays Sean Thornton. He finds romance when he goes home with local Mary Kate played by Maureen O’Hara. He has to refrain from picking up the gloves again when Mary Kate’s brother, Victor MaLaglen who plays Squire ‘Red” Will Danaher the town bully. Sean marry’s Mary Kate but, she accuses him of cowardice when he won’t stand up for her. She threatened to leave after he won’t except he brothers challenge. Sean eventually takes the challenge and rescue’s his lady before she heads off on a train. 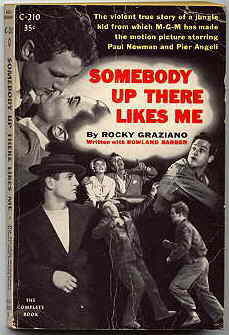 Somebody Up There Likes Me is about boxing legend Rocky Marciano. 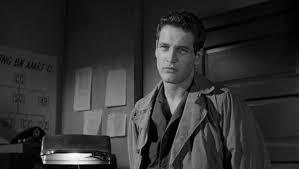 Oscar winner for his role in The Color of Money as “Fast; Eddie Felson, Paul Newman portrays the great boxing champion. Going from one reform school to another he eventually picks up the gloves to earn a few bucks. He demonstrates a will to win and an intensity and unorthodox fighting style. 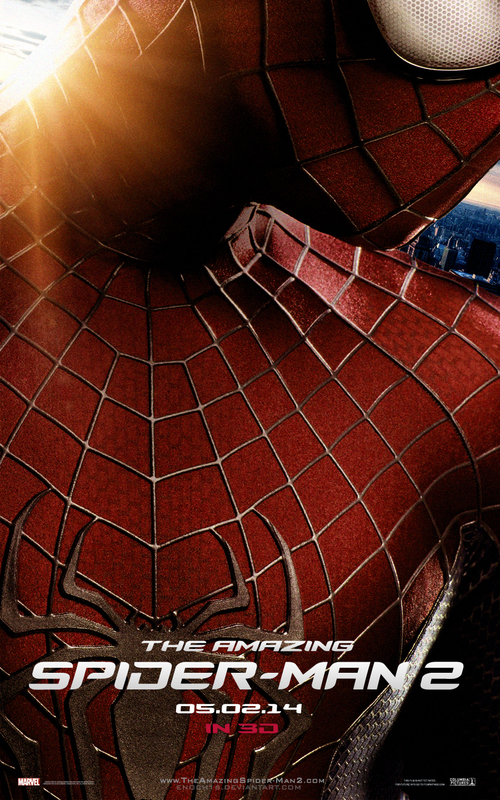 His wife and him try and change his life for the better by excepting the challenge of becoming a champion. Newman spent months training for this role and its his first big role that got him noticed in Hollywood. 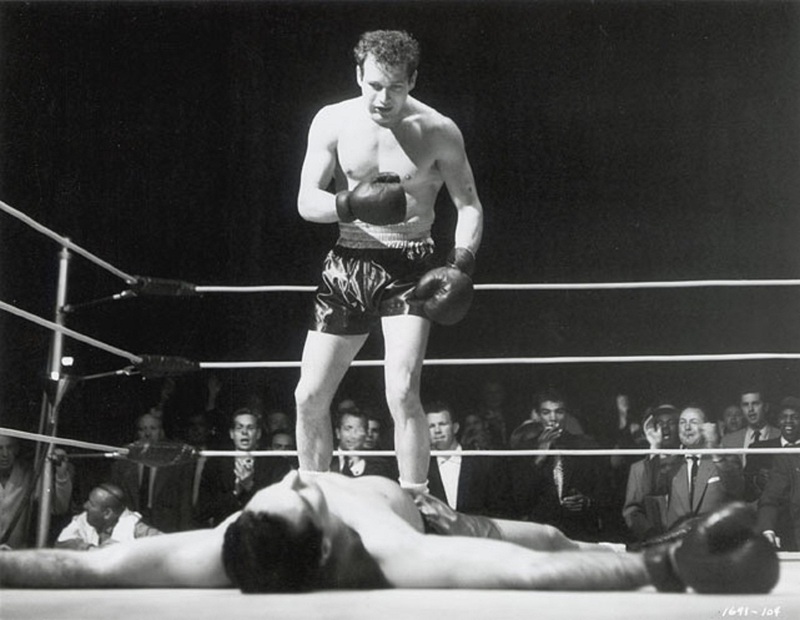 Oscar winning director Robert Wise really got Marciano’s life in this great boxing bio-pic. 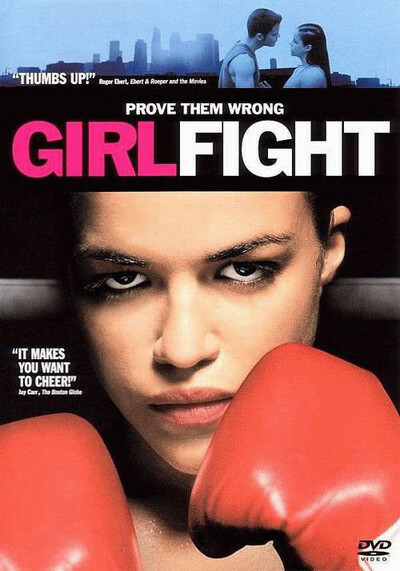 Girlfight is about a young girl who discovers her one true love in the boxing ring. 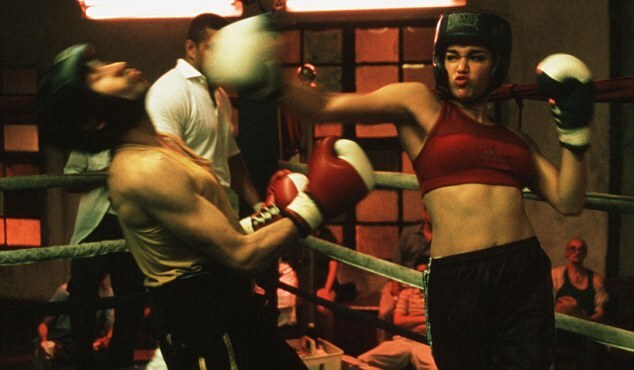 Michelle Rodriguez plays Diana Guzman a girl who is always fighting. She always fight with her father or the gossipy girls at school in the Bronx in New York. She finds a home at her brothers gym and Hector her trainer is hard on her. Boxing turns out to be the outlet for her anger and she realizes she very good in the ring. The true challenge is the fact that she falls for a feather weight Adrian. 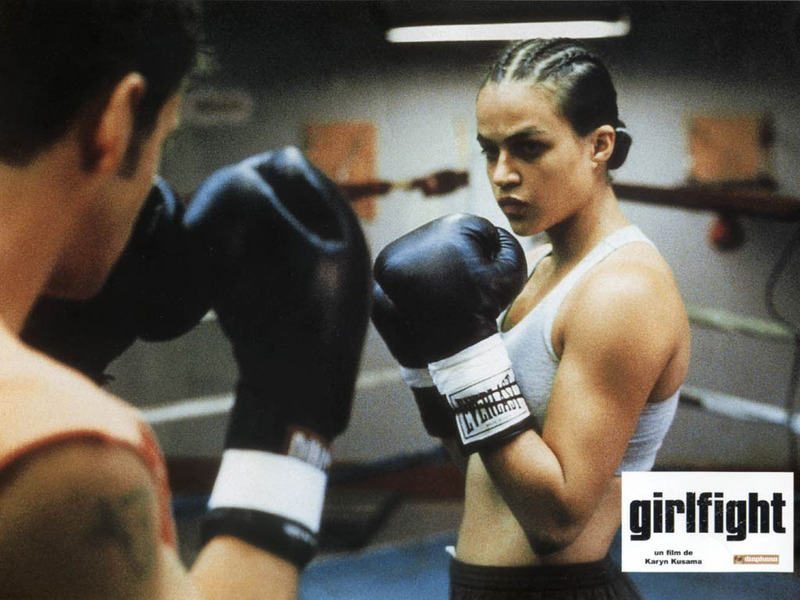 Karyn Kusama does a fantastic job of combining drama with the action of the boxing for a first time director. 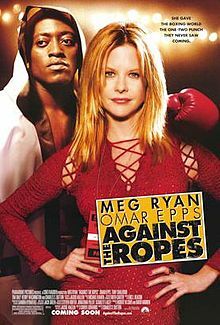 Other boxing or fighting movies of notice are Against the Ropes starring Meg Ryan and Omar Epps as Jackie Kallen and “Lethal” Luther Shaw.This movie is loosely based on the story of James Lights out Toney and his female manager. Gladiator starring Cuba Gooding Jr. and James Marshall.Resurrecting the Champ starring Samuel L. Jackson and Josh Hartnett and Warrior starring Tom Hardy and Joel Edgerton as brothers Tommy and Brandon and ex-marine and and ex mixed martial arts fighter. Both have struggles of there own and end up getting involved in an mixed martial arts tournament. Tommy gets his father played by Nick Nolte to train him and Frank Grillo to train him. 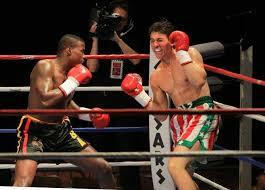 A really funny comedy about two old boxing opponents Grudge Match. Robert DeNiro and Sylvester Stallone are to old competitors who reunite for a big match that will give the winner bragging writes forever. This a funny version of probably to of the biggest boxing movie stars of all time. 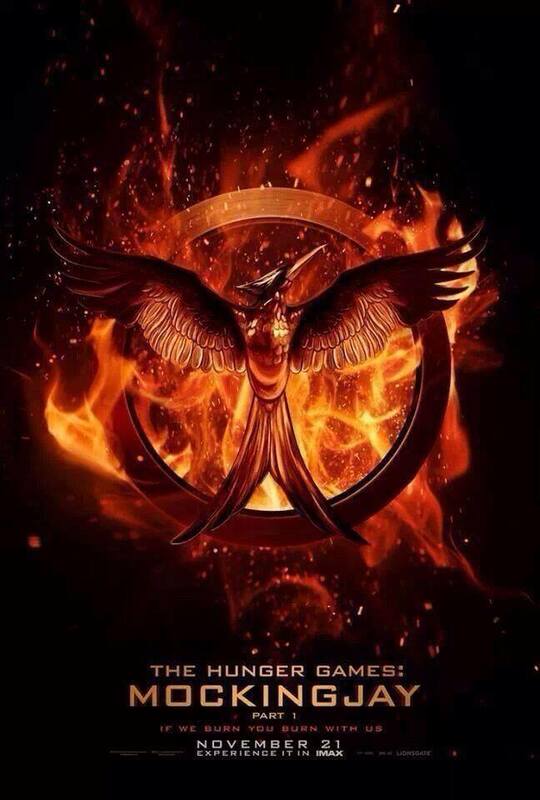 2015 is gonna be a great year for boxing movies. First up we have Southpaw starring Jake Gyllenhaal as a fighter who is rising to the the top as his world is falling down around him. 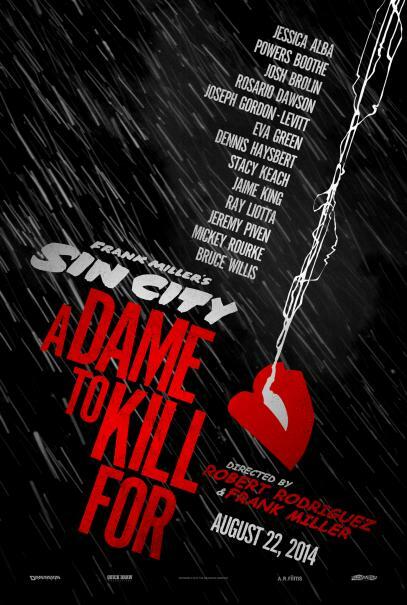 Also starring Rachel McAdams,Rita Ora,Forrest Whitaker as Titus “Tick” Wills and Naomi Harris. 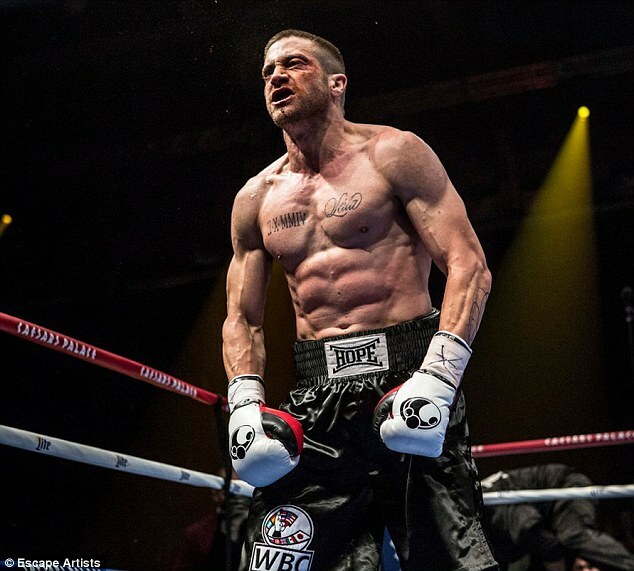 Southpaw is directed by Antoine Fuqua and comes out on July 31st, 2015. 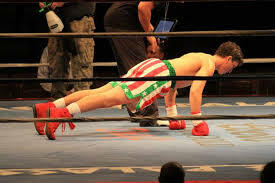 Bleed for This is the true inspirational story of boxing champion Vinny Pazienza. Miles Teller plays the Pazienza. He comes back from a fatal car crash and not know if he will ever walk again, makes one of the most miraculous comebacks in sports history. 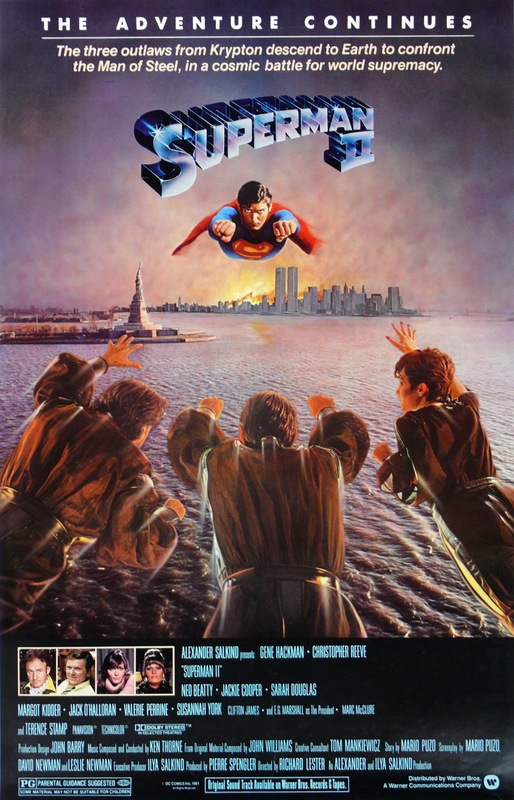 This film is directed by Ben Younger and also star Katie Sagal and Ciaran Hinds as his parents and Arron Eckhart as Kevin Rooney and Ted Levine as Lou Duva. 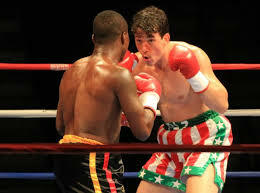 Bleed for This is also out later in 2015. Ryan Coogler is screenwriter and director on Creed the spin-off of the Rocky franchise. Sylvester Stallone plays the mentor and trainer of the grandson of his arch nemesis. Creed star Micheal B. Jordan as the grandson and he and Coogler have already worked together in Fruitvale Station. Creed comes out on November 25th 2015. 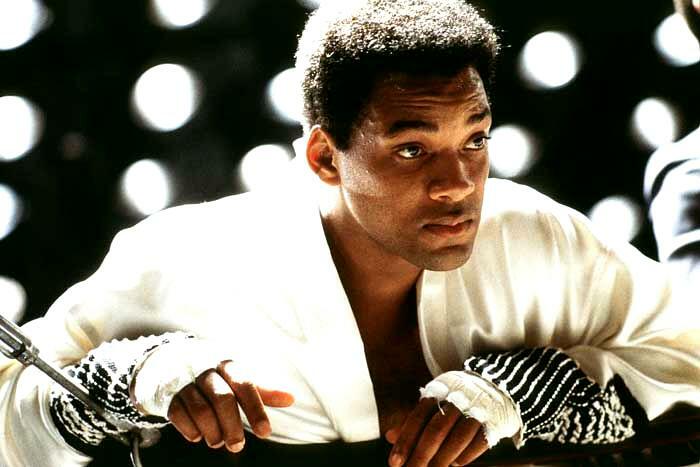 The Boxing movie genre has been a good one over the years. 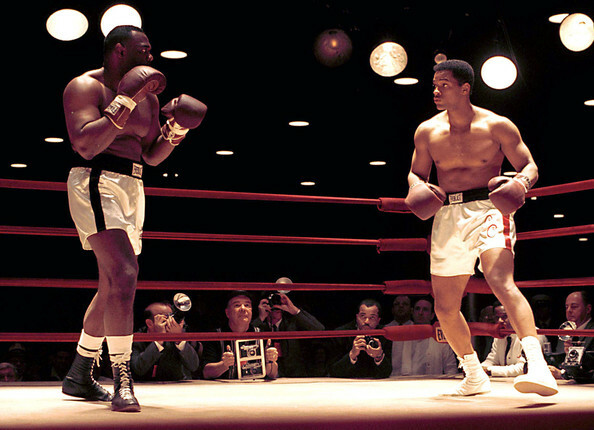 Some of the great movies of all times have been ones based on boxing movies. Directors like Martin Scorsese,Ron Howard,Micheal Mann, David O. Russell and Robert Wise have made movies based on boxing legends like Jake LaMotta,Gentleman Jim Braddock, Irish Mickey Ward, Muhammed Ali and Rocky Graziano. Other movie directors who made boxing movies have been Clint Eastwood,John Ford,Karyn Kusama ,John G. Alvidsen and Norman Jewison. 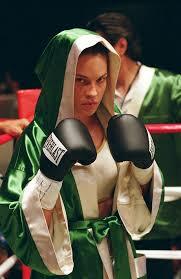 There movies include Million Dollar Baby,Quiet Man,Girl Fight,Rocky and The Hurricane. 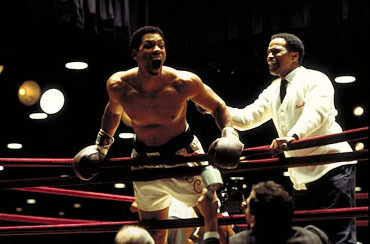 Boxing movies have been based on true stories and fiction. Most are dramas that capture the tough lives and the tough streets where these men and women come from. 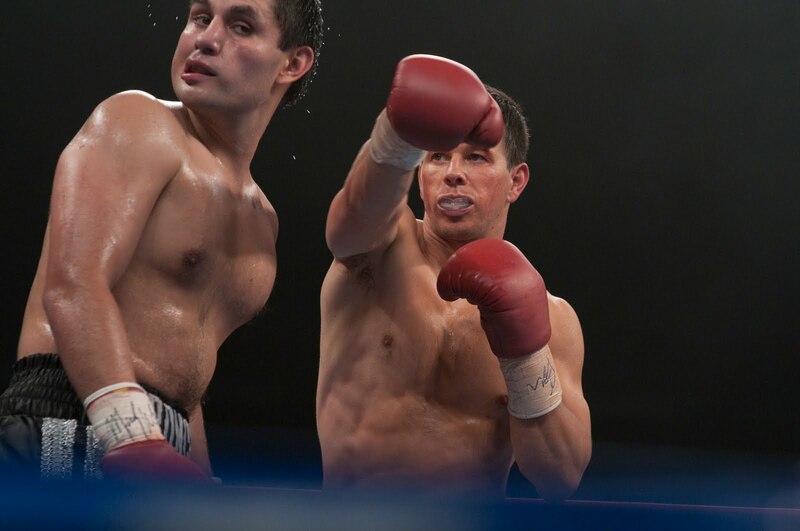 Later this year we will see three other boxing movies Southpaw,Creed and Bleed for this. 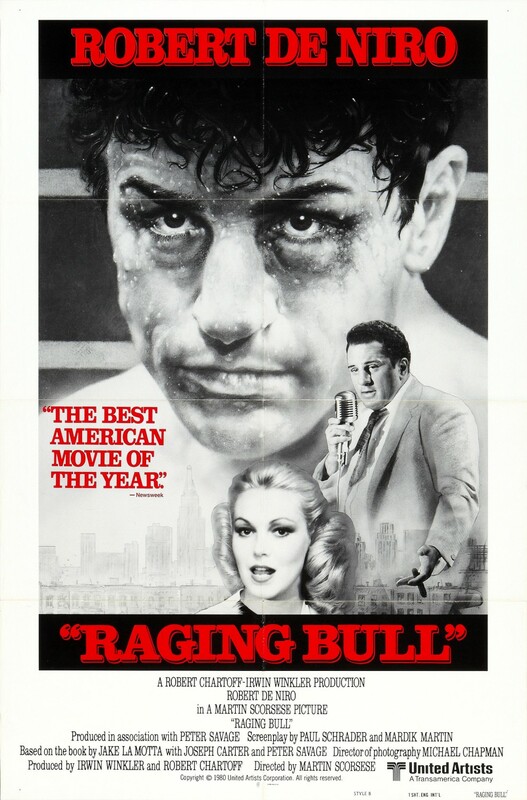 Raging Bull is about the middle-weight champion Jake La Motta. 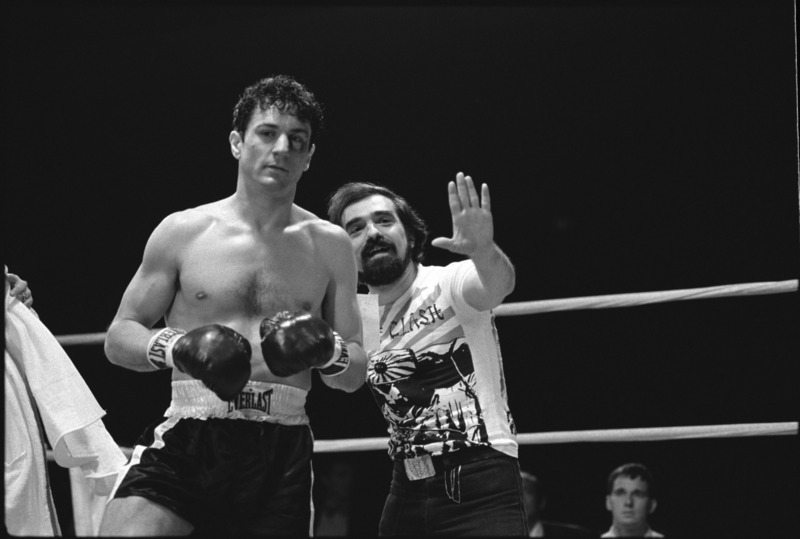 Robert DeNiro plays The Bronx Bull in Martin Scorsese’s masterpiece. Jake struggles in and out of the ring with with his wives,brother and Sugar Ray Robinson. 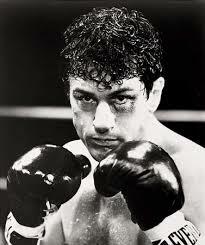 Scorsese based this film on La Motta’s own book called Raging Bull:My Story. 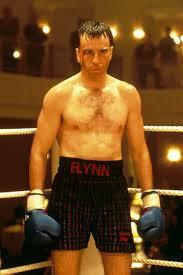 Deniro gains sixty pounds to play the middle-weight champ. 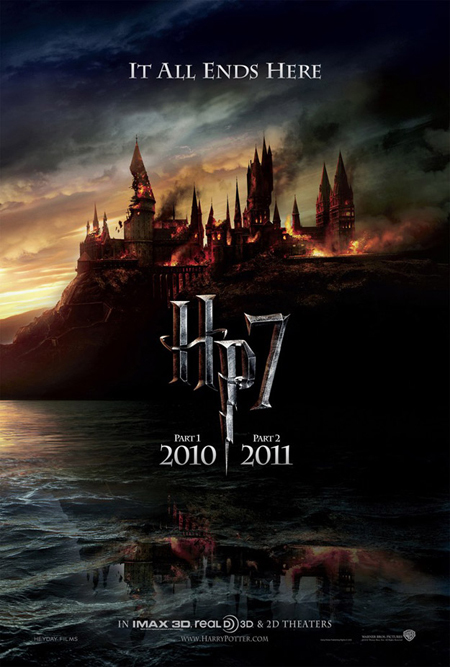 The black & white scenes were perfect to show the times the movie takes place. La Motta fought Sugar Ray Robinson six times. He was the one true adversary La Motta had in the middle weight category.Jake La Motta defeats Marcel Cerdan to become the middle weight champ for the first time. “My favorite boxing movie is Martin Scorsese’s 1980’s classic Raging Bull. The almost dream like opening of that film is one of the most haunting images you will see in cinema. Raging Bull is the ultimate rise and fall boxing film and no other will surpass it. Scorsese and DeNiro have created a timeless,dark,honest masterpiece that transcends the boxing genre.”-George McCann I have to agree with filmmaker and writer George McCann Its my favorite boxing film as well. 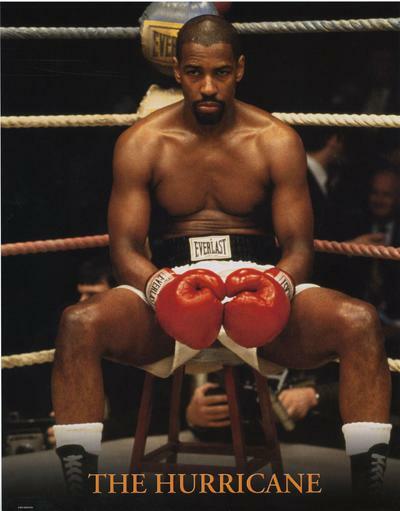 Rocky is the fictional tale of Rocky Balboa portrayed by Sylvester Stallone. 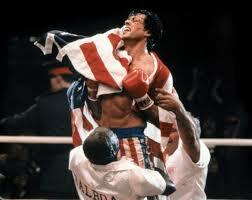 Rocky is the every man who who rises to become a boxing legend. 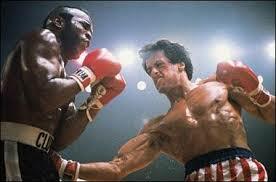 In this first Rocky movie he goes against Carl Weather’s Apollo Creed. His manager Micky is portrayed famously by Burgess Meredith and his Adrian wife is played by Talia Shire. This American tale of Rocky is one everyone can relate to. 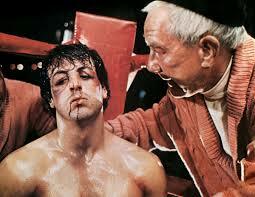 A lot of us have struggled like Rocky so its a story we all fell in love with. 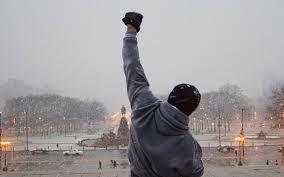 Rocky won the Oscar for Best Picture in 1976 and all the main Actors were nominated for Oscars that year. John G. Alvidsen won for Best director as well for Rocky. Rocky would go on to spawn four sequels and later this year a spin-off called Creed. 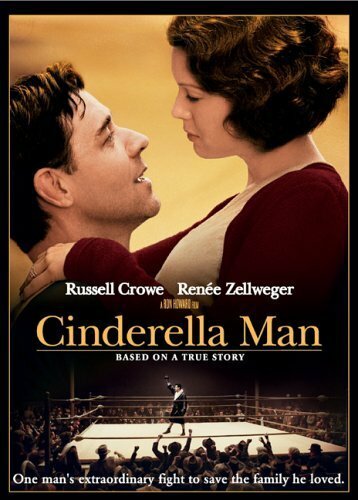 Cinderella Man is about James J. Braddock played by Oscar winner Russell Crowe (Gladiator) and his wife Mea Braddock played by Oscar winner Renee Zellweger (Cold Mountain). This is a down an out man and his family. He struggles to feed them while also trying to become the boxing contender again. While working on the docks he resorts to borrowing money from the government. 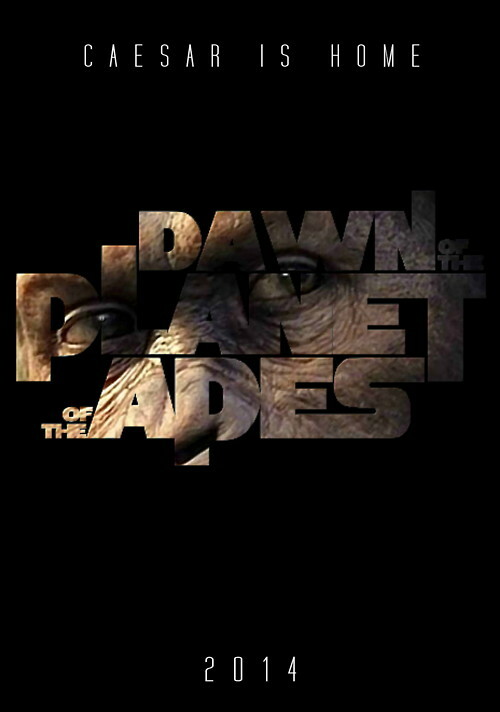 This film takes place in the early 1920’s and Oscar Winner Ron Howard (A Beautiful Mind) really captures the times and the plight of his characters perfectly. 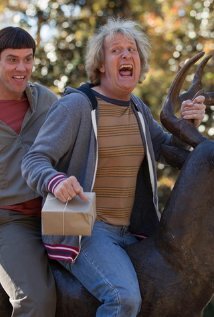 Paul Giamatti plays Braddock’s friend and manager Joe Gould and he is very entertaining and inspiring in the this role. Braddock eventually rises to fight famous boxing champ of the time Max Bear. 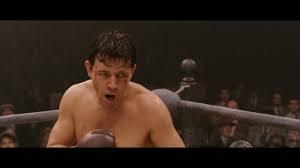 “I really enjoy Cinderella Man directed by Ron Howard. It tells the story of Jim Braddock, who during the depression gave America someone to root for. 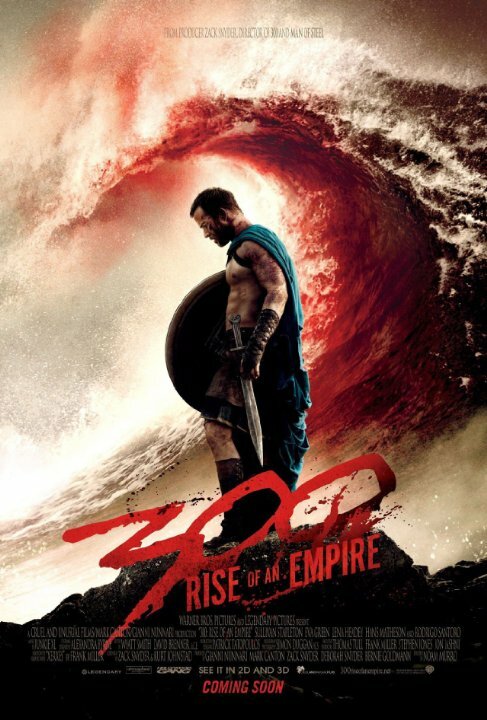 Russell Crowe is terrific in this film and fits the character so well. Paul Giamatti’s supporting work as his trainer was outstanding and his Oscar nomination was well deserved. 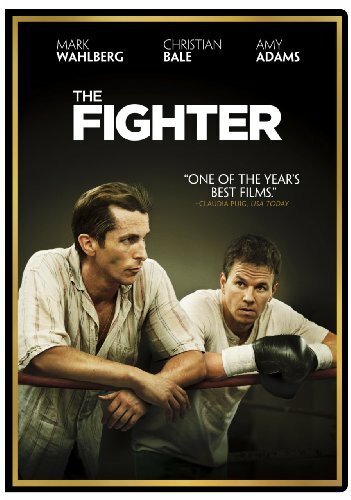 This is an underrated film that more people should see, because its not just a boxing film its about hope and overcoming odds.”-Cole Boone I couldn’t say it better myself Cole. 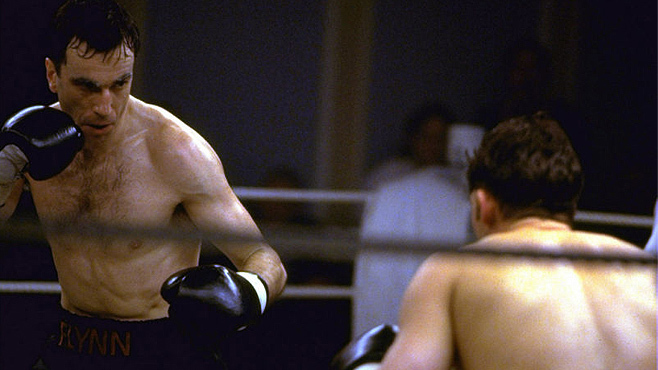 The Fighter is based on the life of Irish Micky Ward. Micky Ward is played by Mark Wahlberg and he’s from Lowell,Mass. His brother Dickie played by Christain Bale and Micky grow up together and are both fighters.Together they try and be a team as manager and fighter after Micky’s career ends. Once again a hard luck story off a boxer from the tough streets rising to become the champ. On the way Micky has his ups and down in the ring and with his brother who is a drug addict. He ends up meeting his eventual wife Charlene played by Amy Adams Alice Ward played by Melissa Leo tries to hold the family together. Both Christian Bale and Melissa Leo won Oscars for there respective roles as Alice and Dickie Eklund. David O. Russell really captures the struggle of this family and there journey together in this rousing film. 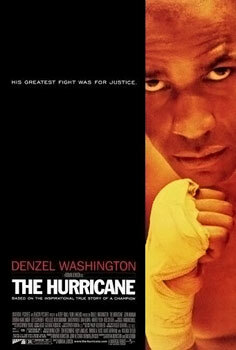 The Hurricane is about Rubin “Hurricane” Carter. 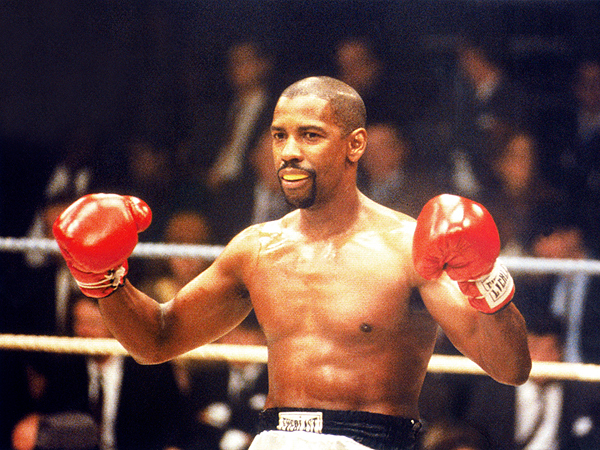 Denzel Washington plays the wrongly accused of murder, fighter. Sentenced to life in prison for something he didn’t do. He is confronted by some people who read his memoir later in life after spending many years in prison.A teen and three Canadian’s who think he is innocent and agree to help him get out of prison. Carter came up with the famous quote “Hate got me into this place, and love got me out.” Lesra Martin plays Vicellous Reon Shannon the boy who finds Carter’s book and then recruits Liev Schreiber’s Sam Chaiton, John Hannah’s Terry Swinton and Deborah Kara Hunger’s Lisa Peter’s to help him prove Carter innocent after twenty years. 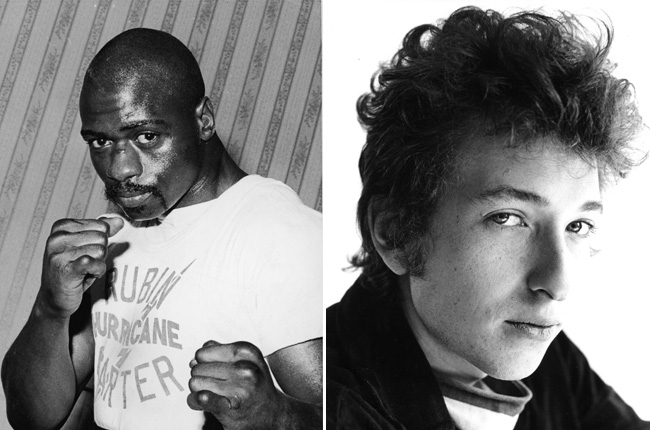 A famous song was written and sung back when Carter was imprisoned by Bob Dylan. I love baseball and I bet you do to! I am a huge baseball fan. I’m originally from Lowell, Massachusetts, As a kid I grew up watching the Boston Red Sox. I have been through my up and downs with the Sox and I has made me a better person for going through all these good and bad times with my team. As I am also a film critic I am a huge sports movie fan as well. 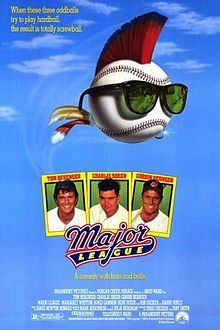 Some of the best sports movies over the last 80 or so years have been baseball movies. Baseball is such a broad topic though. 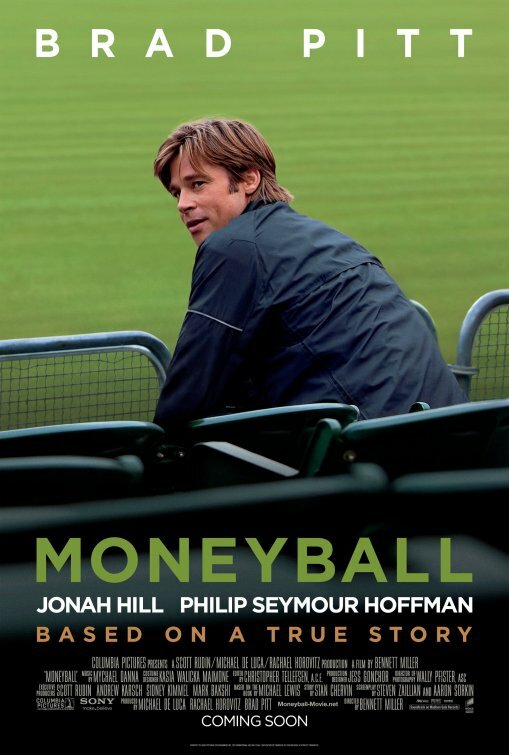 There have been plenty of pro baseball movies such as Pride of the Yankees, Moneyball, The Rookie, Fear Strikes Out, Cobb,Eight Men Out and Fever Pitch. There has also been a fare share of kids baseball movies. Bad News Bears and The Sandlot come to mind. 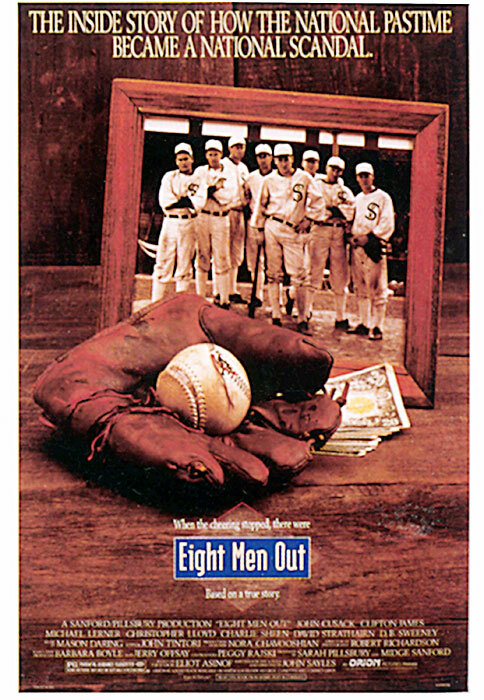 Fictionalized telling of baseball stories are very prevalent though. The Natural, Bang the Drum Slowly, Major League,Field of Dreams are a few of those. 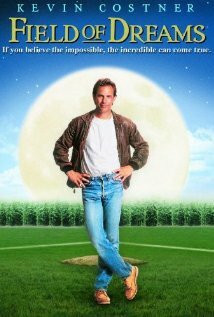 Field of Dreams is one of three baseball films Kevin Costner has starring in with the other two being Bull Durham and For Love of the Game. There even has been a baseball movie about the females baseball league of the 50’s. Actors of all caliber have starred in baseball movies. 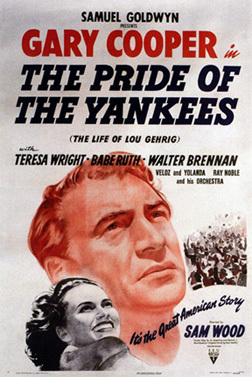 Gary Cooper comes to mind as the best performance by anybody in a baseball movie as Lou Gherig the dying baseball legend in Pride of the Yankees. Brad Pitt and Robert Redford give great performances though as The GM of the struggling and cash strapped Oakland A’s and Roy Hobbs a phenom of a baseball hitter. 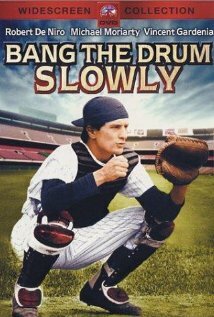 Some baseball movies are comedies but, most baseball films are dramas. Every year we get a baseball film or two and this year is no different. 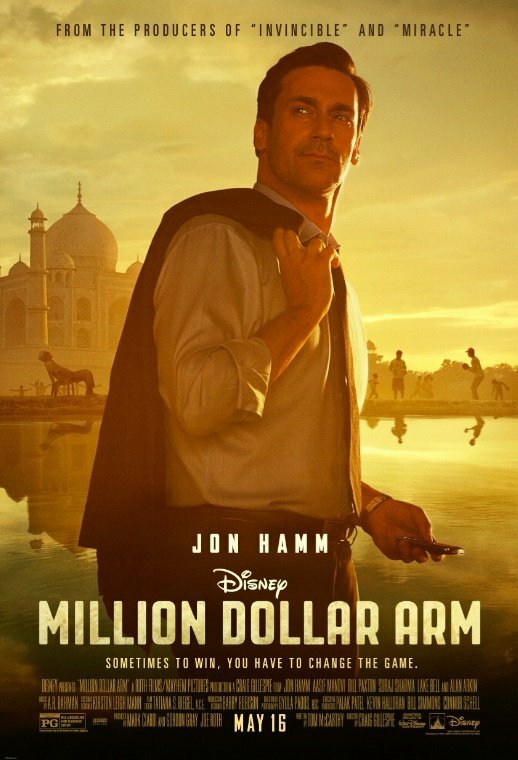 Next month May 16th is the opening of 1000,000 Dollar Arm starring Jon Hamm. 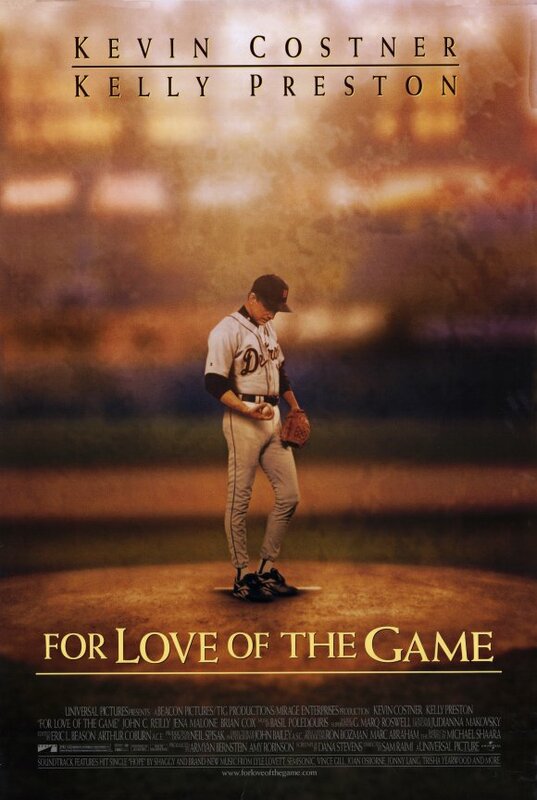 I look forward to more baseball films and I keep enjoying the one that have come out in theaters in the past. 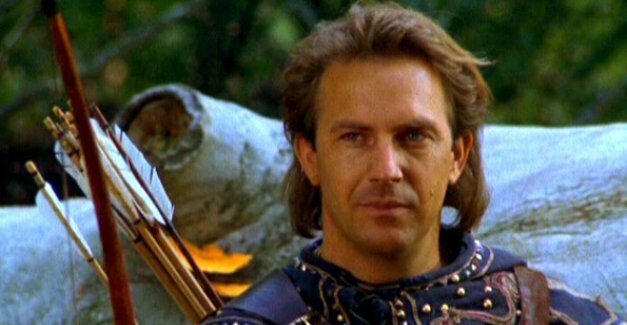 Kevin Costner is a having a resurgence, with 3 new films out this year. With three new films out within a three month span is this a resurgence of Kevin Costner’s career. 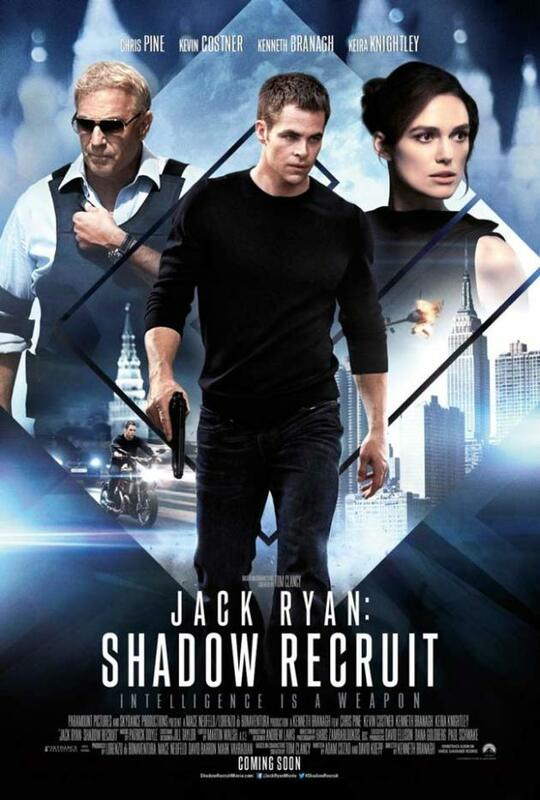 The first is the fourth installment of the Jack Ryan franchise, Jack Ryan:Shadow Recruit. 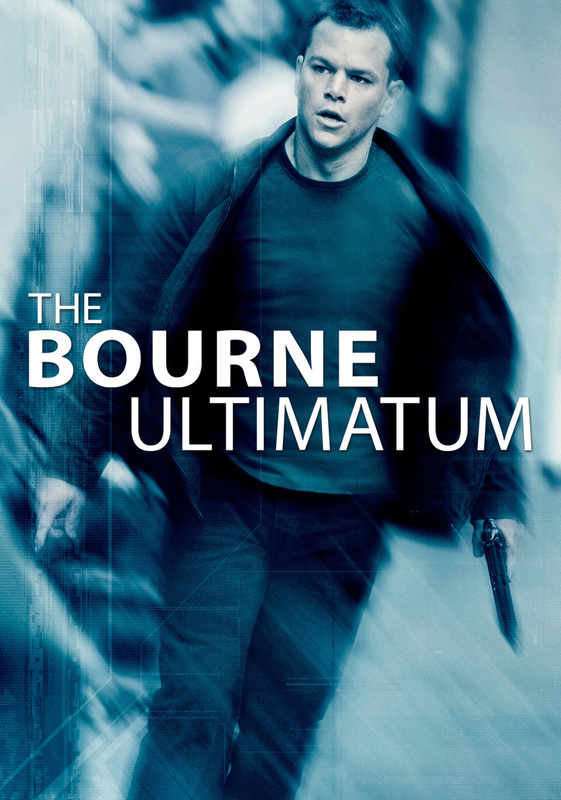 He plays (William Harper) a CIA operative who recruits (Chris Pine) Jack Ryan. 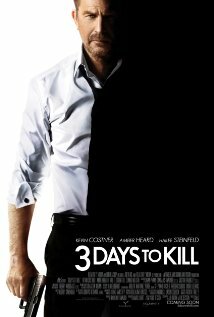 When things get a little rough they ask Kiera Knightly (Kathy Ryan) to help them thwart Kennith Branagh ( Victor Cherevin) a Russian business man.The second is 3 Days to Kill where he once again portrays a spy (Ethan Runner) who has three days to live unless he does a job for Amber Heard. She has a drug that can save his life. The only thing is he has to take care of his daughter as well. 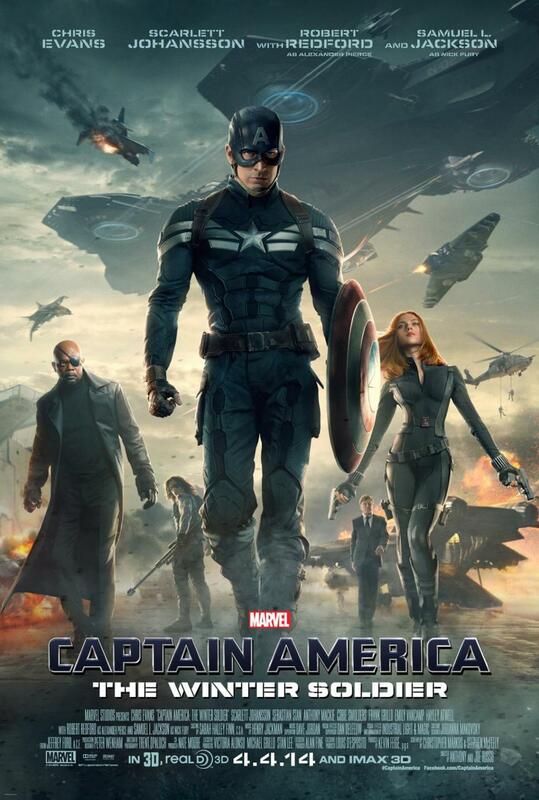 His daughter is played by Hailee Steinfeld. 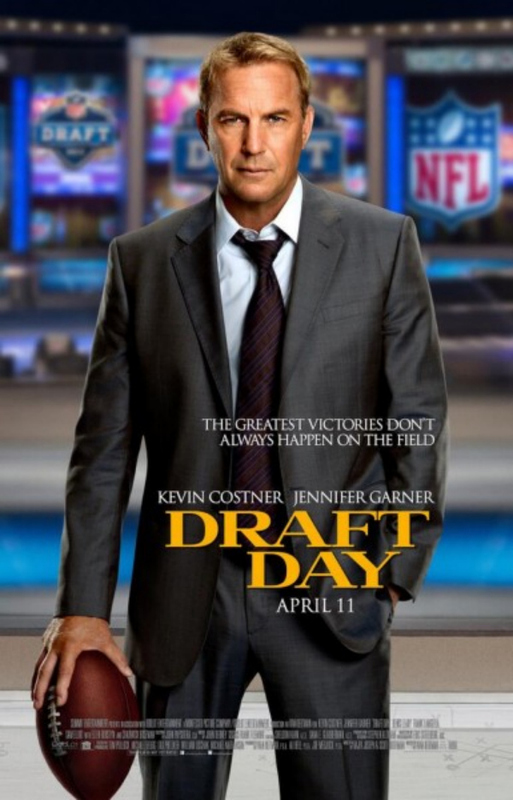 The third film he is in is Draft Day. In which he plays a NFL football General Manager ( Sonny Weaver Jr) for the Cleveland Browns. Where he struggles to get the first pick in the draft for his team. 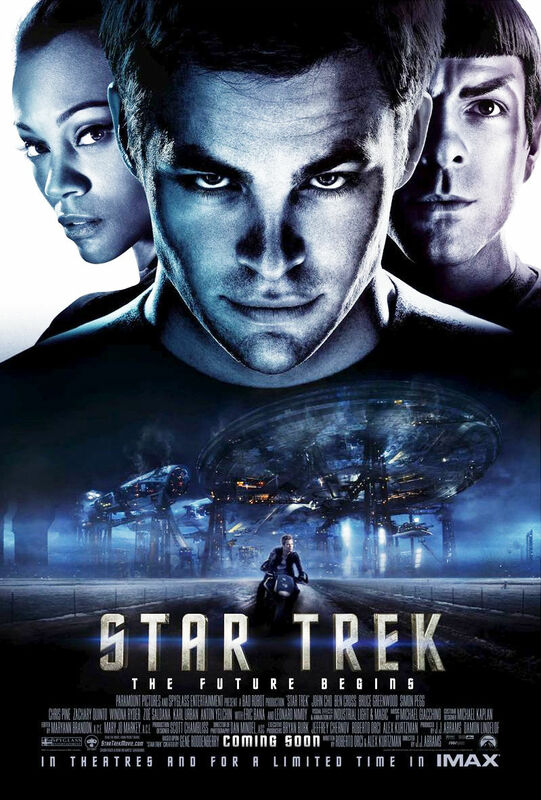 Also starring Jennifer Garner (Ali), Denis Leary (Vince Penn) Ellen Burstyn (Barb Weaver) and a host of others from ESPN and beyond. 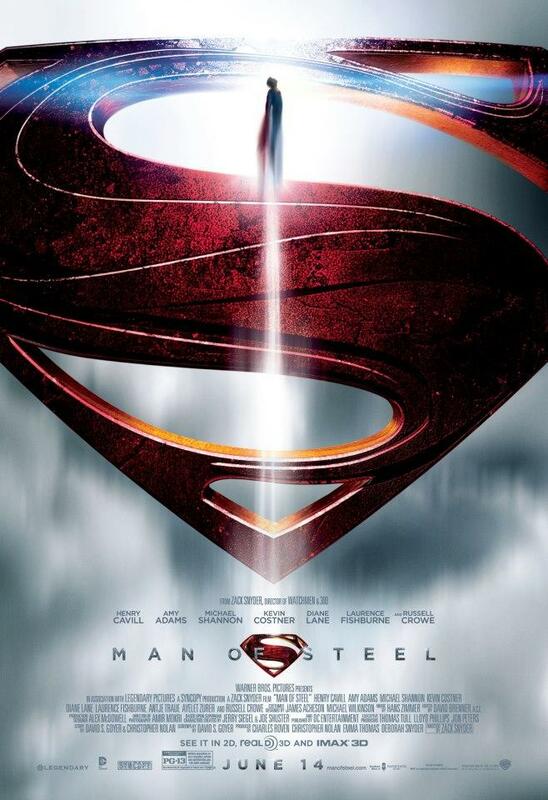 Last year Kevin was in Man of Steel the reboot of the Superman franchise. Where he played (Pa Kent) the earthly father of Clark Kent/Superman. 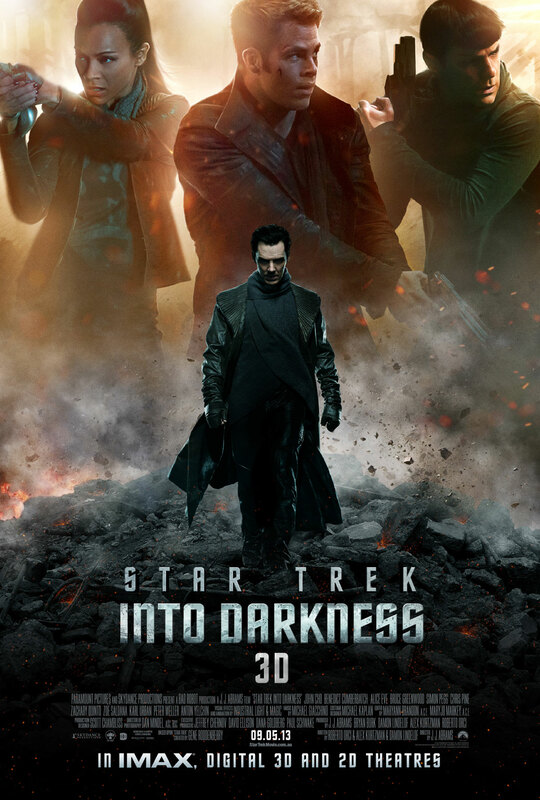 That was just the latest film he was in. His career spans three decades. From historical bio-pics to baseball players Kevin has had a great career. 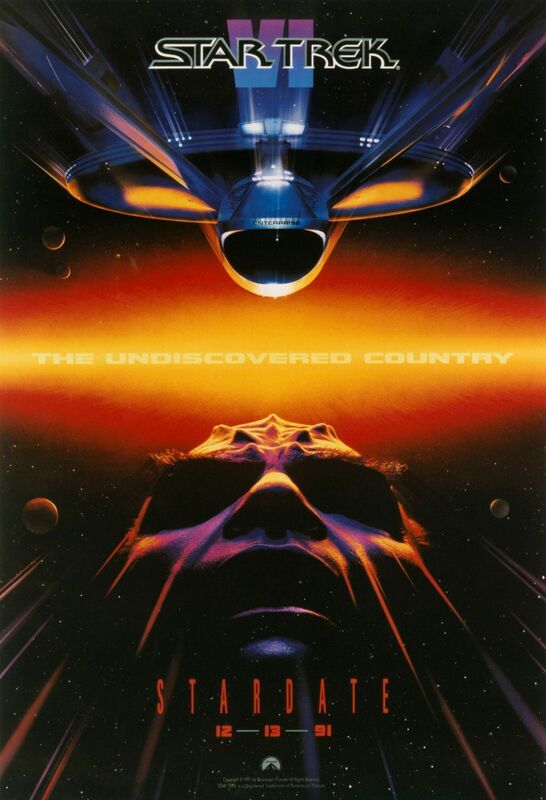 With that in mind I’m gonna go down my list of my favorite Kevin Costner Movies. 10. 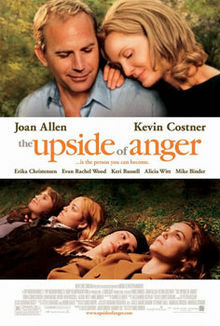 In The Up Side of Anger Kevin plays (Danny Davies the boyfriend of (Terry Wolfmire) played by Joan Allen. 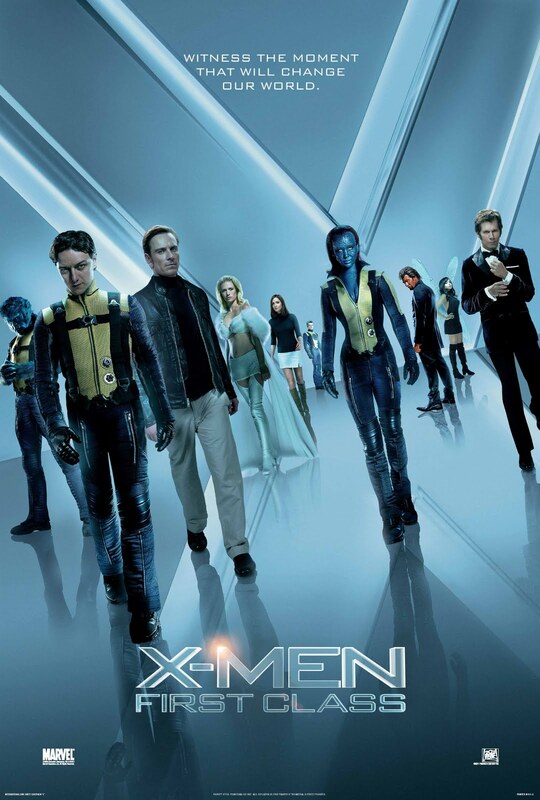 This is a romantic comedy about family and there struggles. 9. It seems like Kevin loves him some baseball. He has been in three baseball movies. 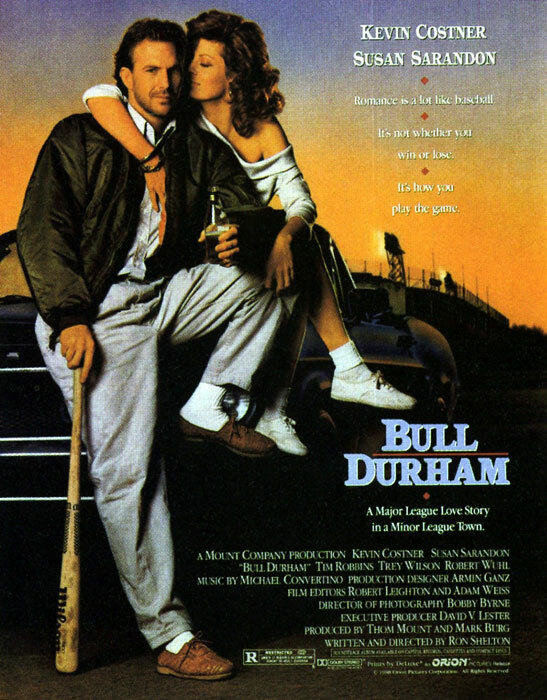 The first was Bull Durham. Where he plays Crash Davis an aging minor-league catcher. He has to help a new young up and coming pitcher Nuke LaLoosh played by (Tim Robbin). They both end up having affections for a team fan Annie Savoy played by (Susan Sarandon). The second was Field of Dreams. He plays a man, Ray Kinsella who when walking in his corn field hears a voice saying “If you build it, he will come”. So he builds a baseball field where his corn field once was. Eventually Shoeless Joe Jackson played by (Ray Liotta) and a slew of other ghosts of baseball past come out on the field to play baseball with him and his family. 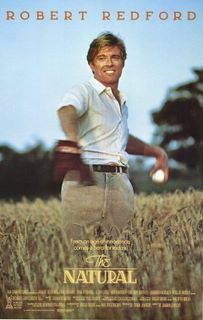 The third baseball film he was in was called For Love of the Game. Where in he played an aging fictional pitcher for the Detroit Tigers Billy Chapel. With his career about over Billy has to pitch his final game in the majors. He ends up pitching a no-hitter. 7. 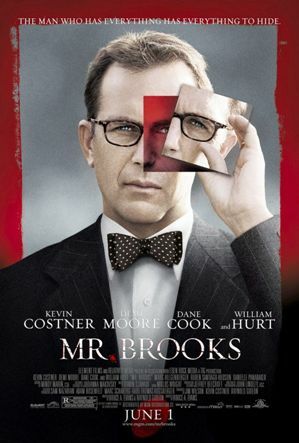 Mr. Brooks is a about a Portland business man (Earl Brooks) who also moonlights as a murderer. 6. 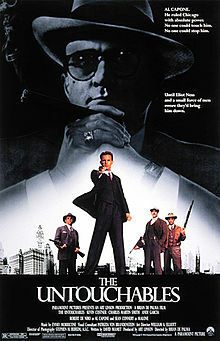 In the Untouchables Kevin play famous FBI Agent (Eliott Ness). 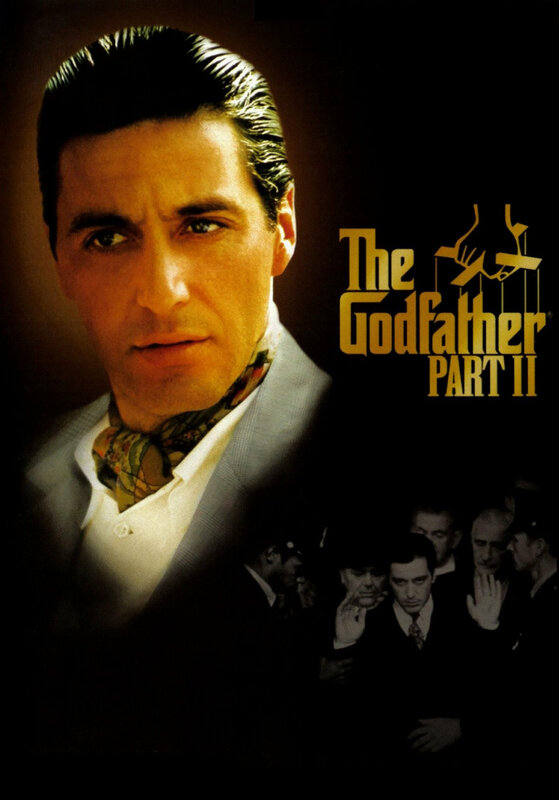 The story is about Ness’s mission to take down gangster (Al Capone) played by Robert DeNiro. 5. 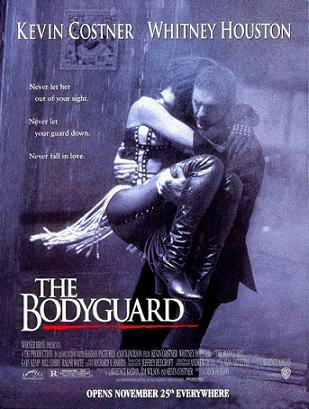 The Bodyguard is about a man whose job it is to protect a famous singer. 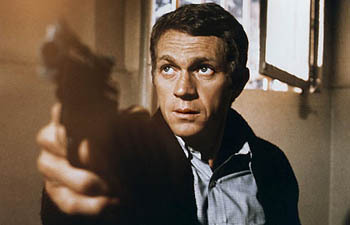 Kevin plays (Frank Farmer) a bodyguard for hire. He is hired to protect (Rachel Marron) played by Whitney Houston, from a stalker. 4. 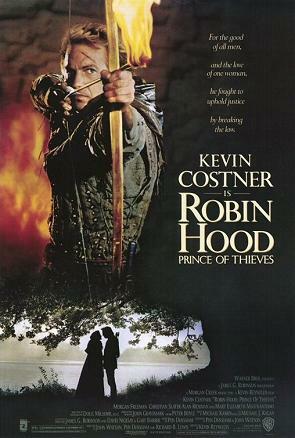 In Robin Hood Prince of Thieves Kevin Portrays famous literary character (Robin Hood) . 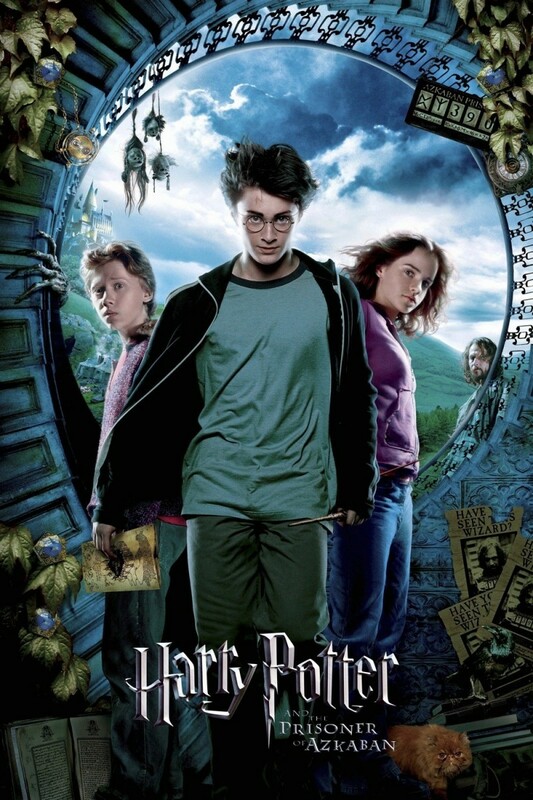 This is probably the best film about this great British character of folklore. 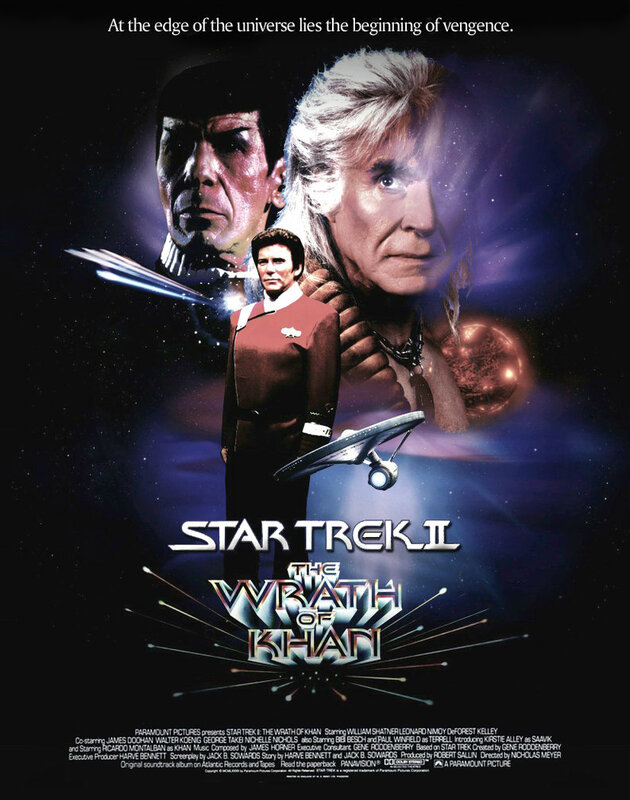 The film also stars Morgan Freeman (Azeem), Christian Slater as (Will Scarlett) and Alan Rickman as (The Sheriff of Nottingham. 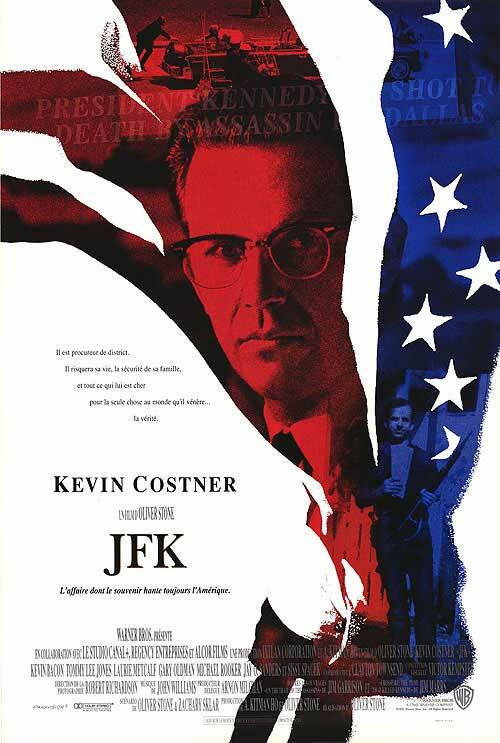 3.Kevin has been in two movies about John F. Kennedy. 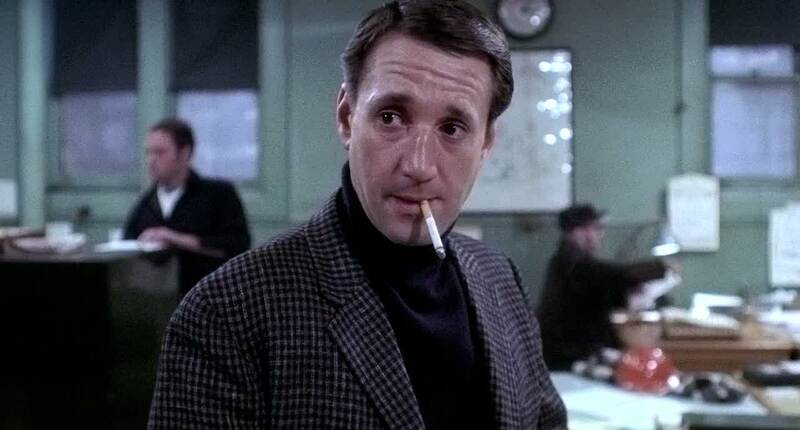 In Oliver Stones JFK he plays (Jim Garrison) an attorney in Louisiana who is investigating the assassination and subsequent cover up by the US government of President John F. Kennedy. 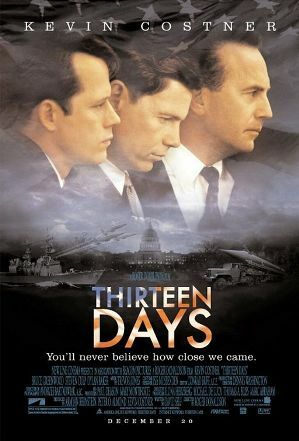 In Thirteen Days he plays (Kenny O’Donnell) a cabinet menber of John F. Kennedy who helps JFK find a solution during the Cuban Missile Crisis. 2. A popular genre Costner likes is the Western. He has starred in a few westerns over his career. 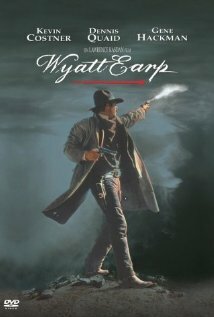 One of them is Wyatt Earp, where he plays the title character. About the famous law man. The other is Open Range where he plays (Charlie Waite) a man who tries to stop men from stealing his cattle/horses. 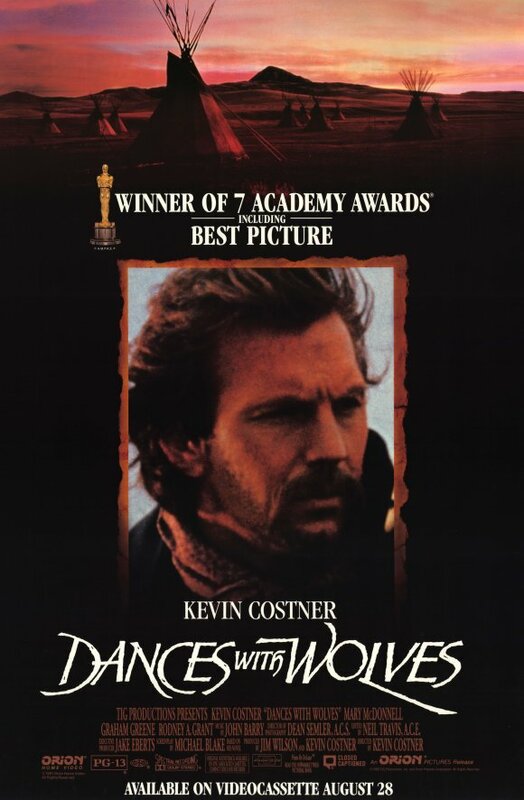 1.In Dances With Wolves Kevin Costner Directed,Produced and stars in The Academy Award winning Best Picture of 1909. He plays (Lieutenant Dunbar) a Calvary man for the north during the Civil War. He ended up getting hurt and left behind but, gets nursed back to health by an half native women (Stands With Fist) played by Mary McDonnell. 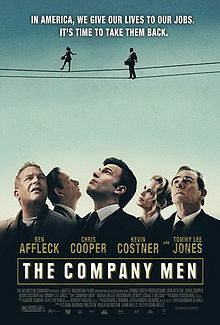 This is definitely Costner’s best film to date. 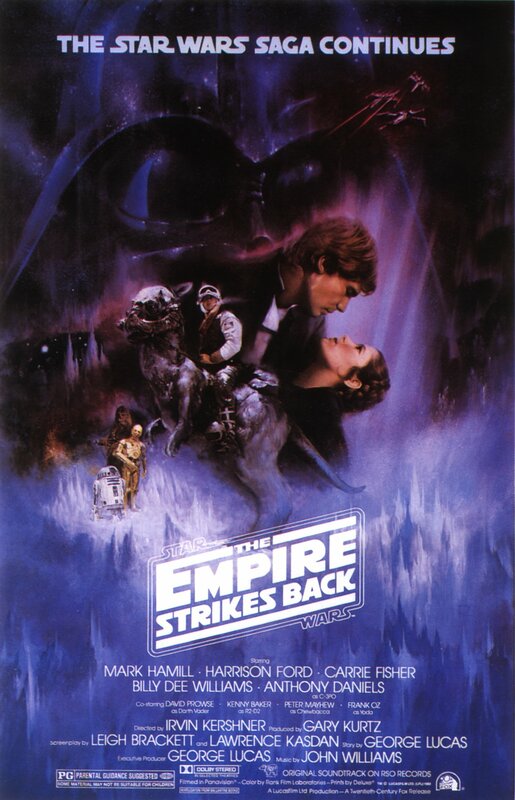 One I could watch over and over again. 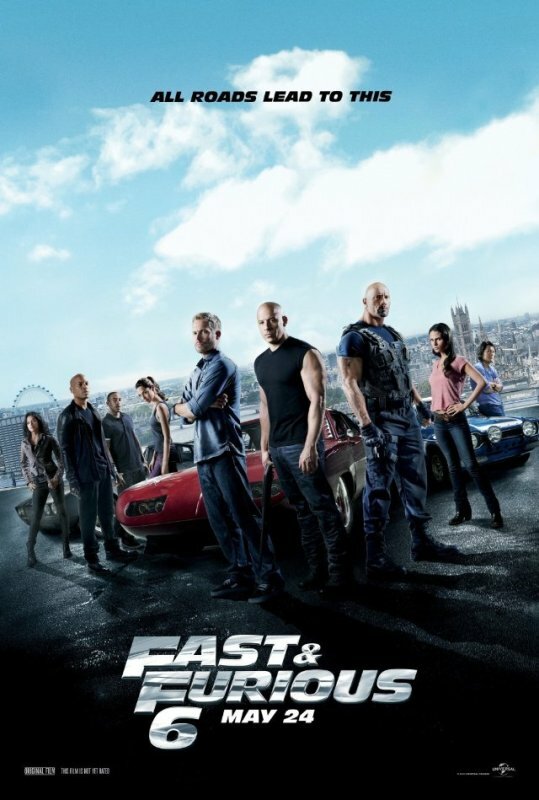 This week I saw a screening of Need for Speed based on the video game of the same name. 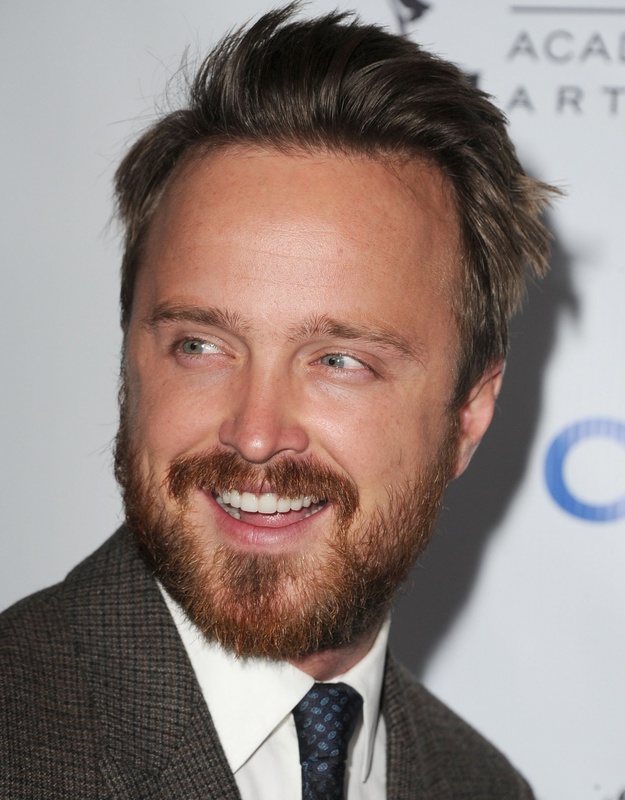 Aaron Paul plays (Toby Marshall) a body shop owner who races cars on the side. 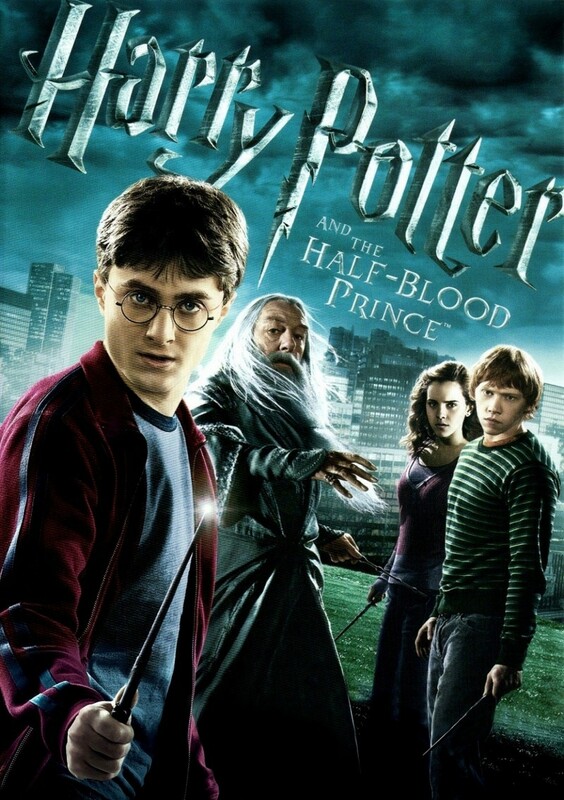 After a race goes bad and one of his friends gets killed he takes his anger out on and old rival. Dominic Cooper plays (Dino Brewster) a rich kid who has everything and races expensive cars. Micheal Keaton plays (Monarch) a man who sets up a big underground race called the De-Leon and he invites both Toby and Dino into the race. Imogen Poots, Kid Cudi and Rami Malek round out the cast as friends Finn and Julia Maddon a romantic interest of Toby. 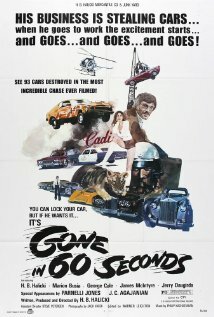 With the idea of fast cars and racing in my mind I thought what are my favorite car chase movies. Need for Speed has got to be on that list in my opinion. so here are 10 of my other favorite car chases in movie history. 10. 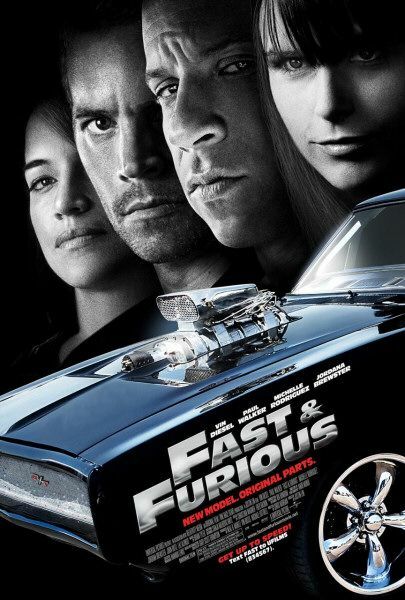 I would have to say if you don’t have the Fast and Furious franchise as some of your best car chases in movie history your just not very in formative about movies. 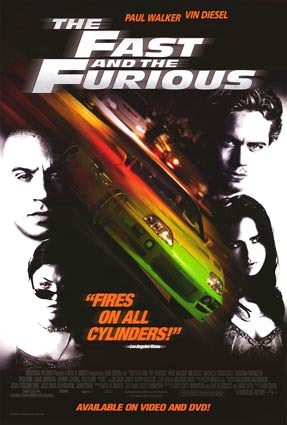 Vin Diesel plays (Dominic Toretto) and Paul Walker plays (Brian O’Conner) as two members of a group of crooks and car thieves. 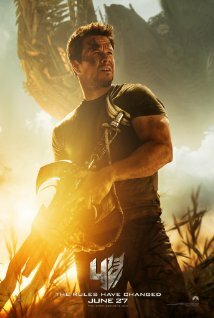 Others in the cast are Michelle Rodriguez, Jordana Brewster, Sung Kang, Tyrese Gibson, Chris “Ludicris Bridges and Dwayne The Rock Johnson. There have been 6 Fast and Furious movies with a 7th on the way. 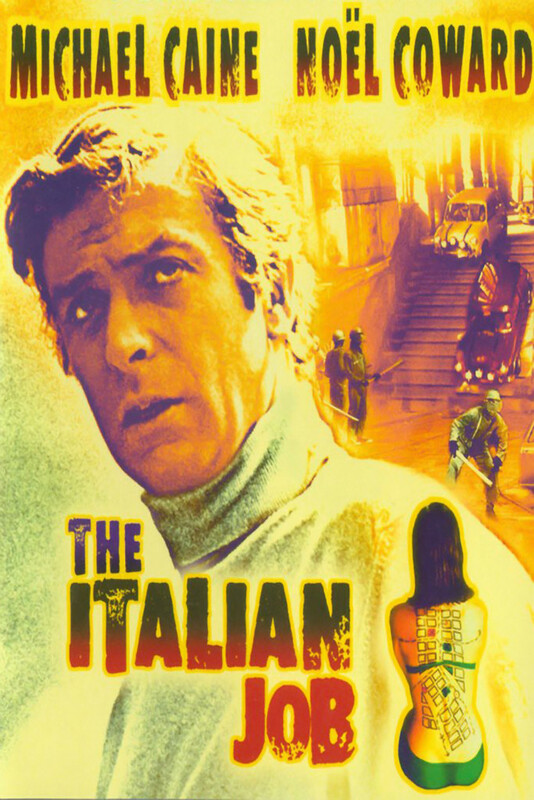 9.The Italian Job has had two movies. 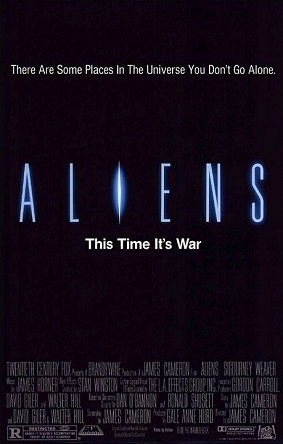 One back in 1969 starring Michael Caine and another one in 2003 starring Mark Wahlberg, Charlize Theron, Edward Norton, and Jason Statham and Seth Green. Mini Coopers were driving everywhere in these tow heist movies. 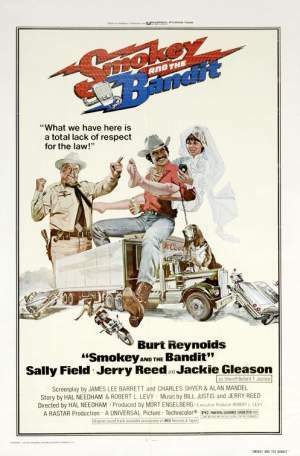 7.Burt Reynolds was in two of my favorite car chase movies back in the seventies and eighties. 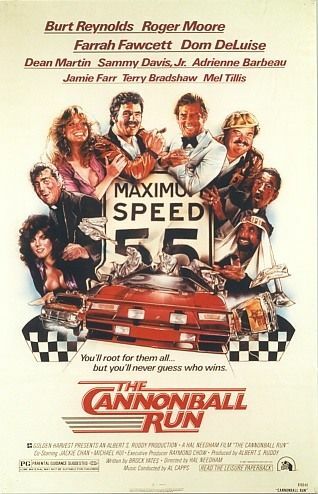 The first was Cannonball Run. About a long distance race across the country. 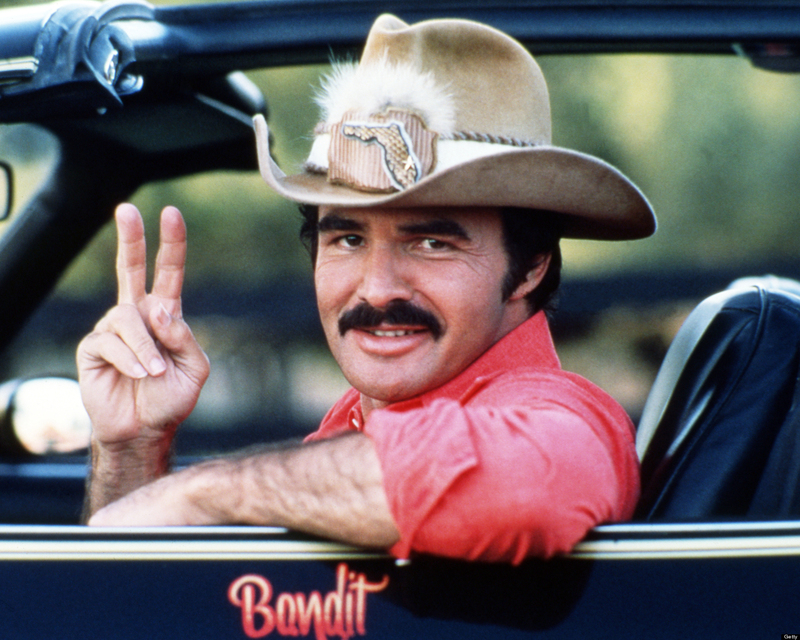 The was Smokey and the Bandit about a local town wise guys who run afowl of the law and the lawman. The lawman was played brilliantly by Jackie Gleason. 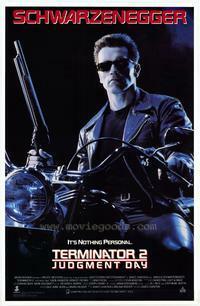 6.Spy movies usually have great special effects and part of that goes amazing car chases. 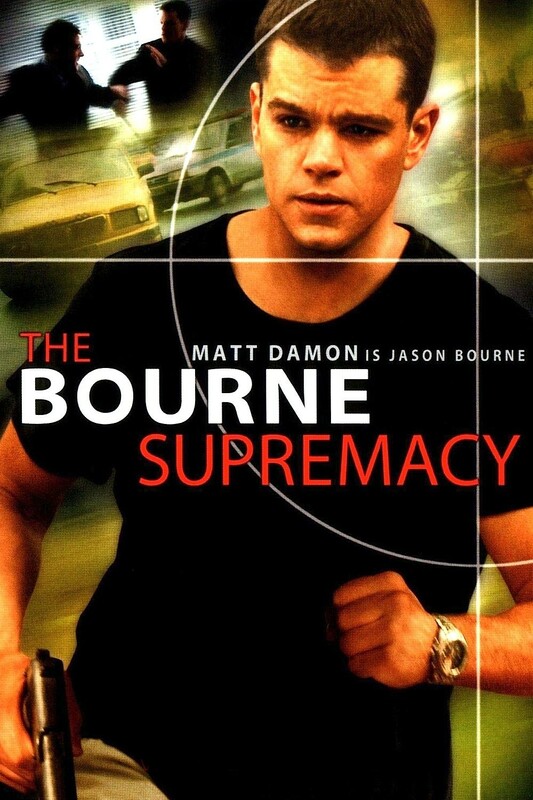 One of those great spy movie franchises is The Bourne Franchise. 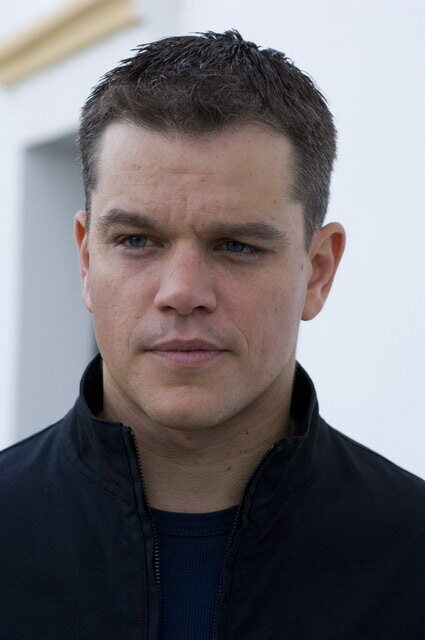 Matt Damon portrays (Jason Bourne) in The Bourne Identity,The Bourne Supremacy, and The Bourne Ultimatum. 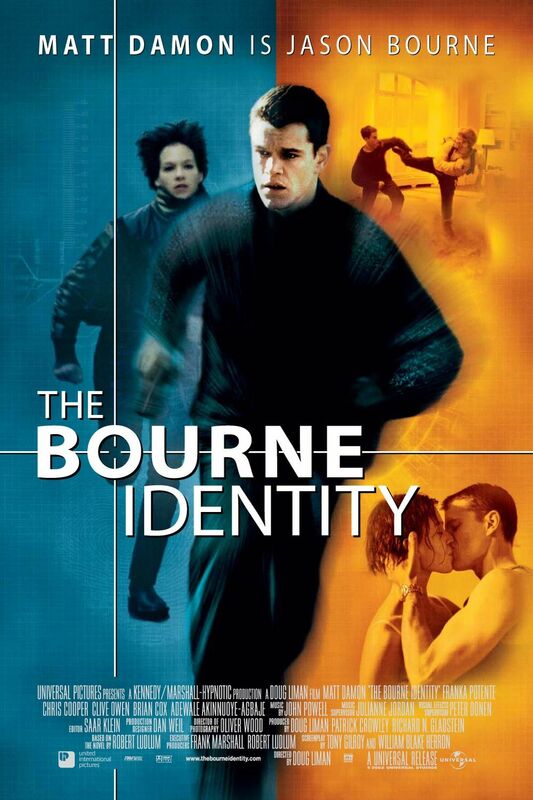 Jerremy Renner portrays Arron Cross in The Bourne Lagacy. 5. 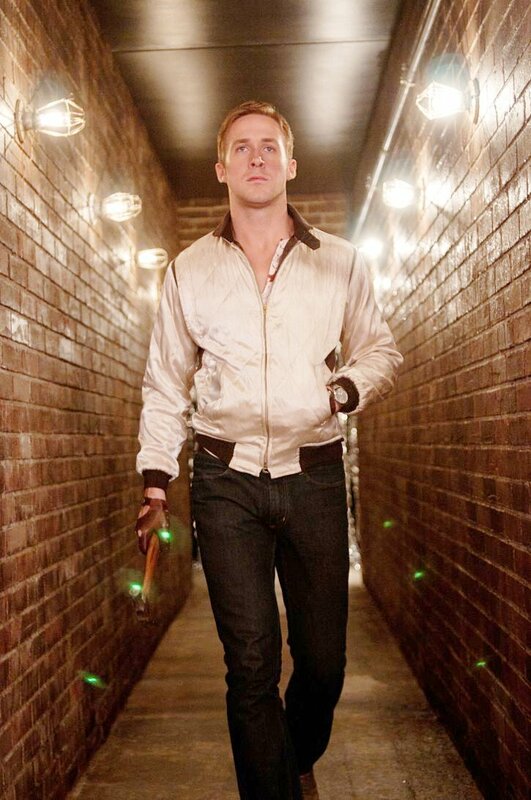 Quentin Tarantino and Nicolas Winding Refn direct two modern car chase movies. 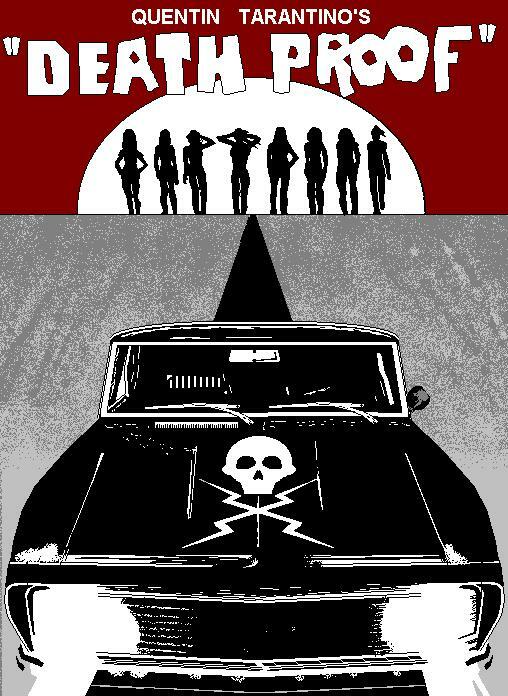 Death Proof is a throwback to the seventies car chase movies starring Kurt Russell. 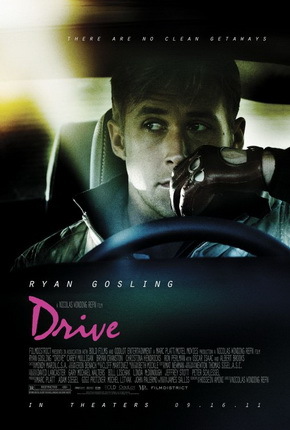 Drive starring Ryan Gosling is a slick, brilliant, exciting modern day car chase movie. 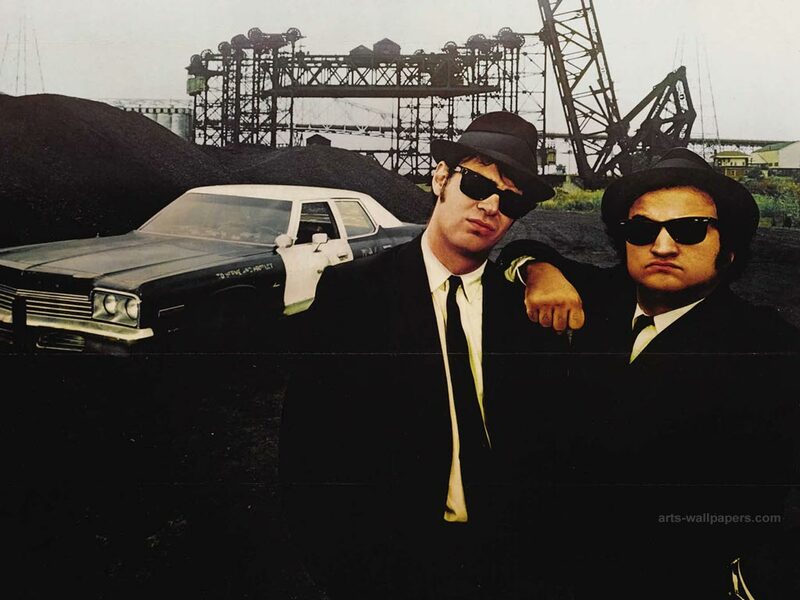 4.The Blues Brothers is a classic in every sense of the word. 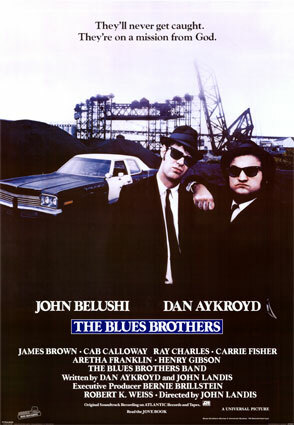 Jake and Elwood Blues are the two bothers played brilliantly by Jim Belushi and Dan Aykroyd. 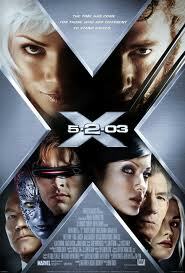 They go on a mission and in that they have one of the best car chases in movie history through the streets of Chicago. 3. 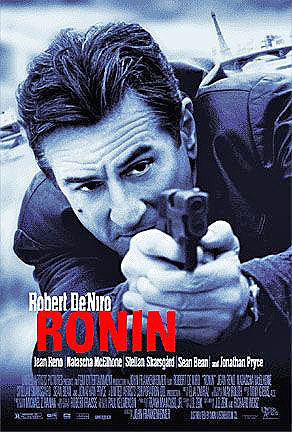 Ronin has a great cast. 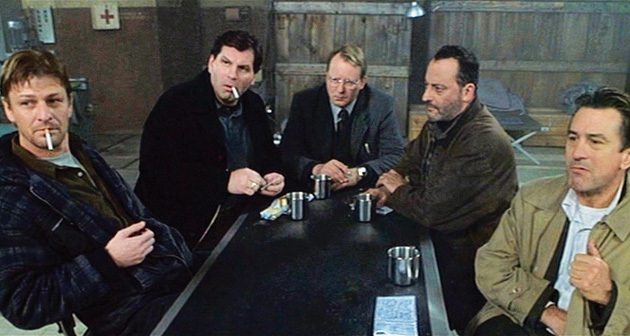 Robert DeNiro, Jean Reno, Sean Bean, Stellan Skarsgard star in this thriller that never stops surprising because of the twists and turns. 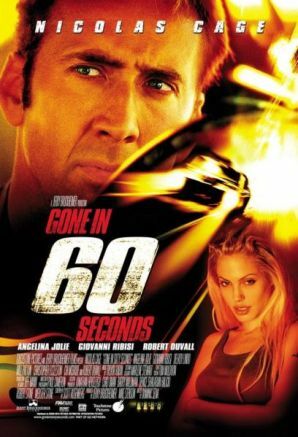 That is a literal statement because the car chase in this movie goes through all kinds of twists and turns in the streets of Russia. 2. 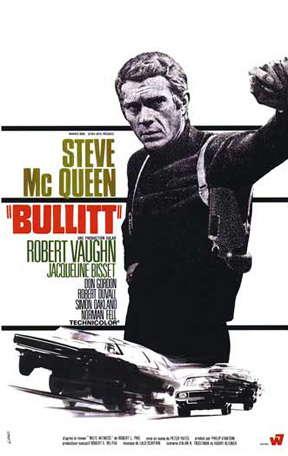 Steve McQueen is one of the great acter of his time but, the movie that defines his career is Bullitt. It is a fast paced thrill ride with great car chases. 1. 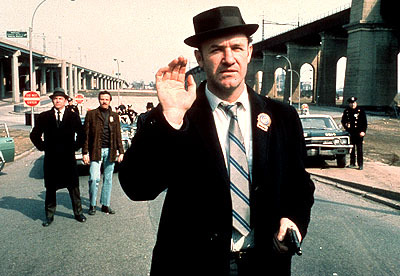 My favorite car chase movie is an Oscar winner for great character actor Gene Hackman as (Popeye Doyle) as well as Best Picture for the movie. Also starring Roy Schneider as Popeye’s partner in this thriller. 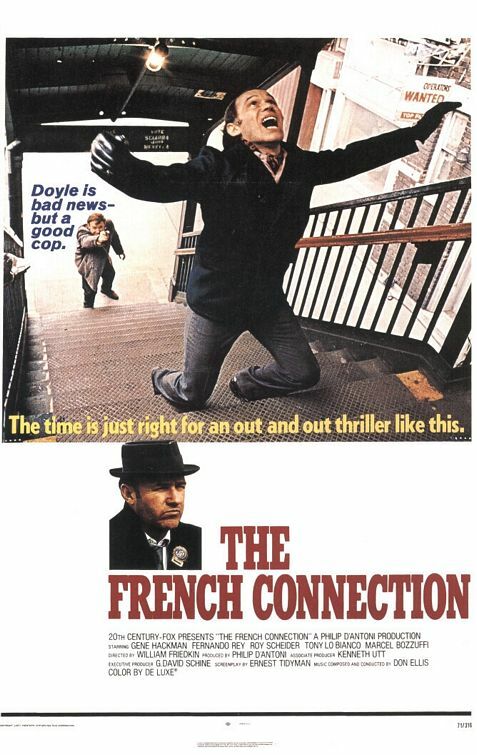 Filmed on the streets of New York City, The French Connection has some thrilling car chases in this movie based on a true story. 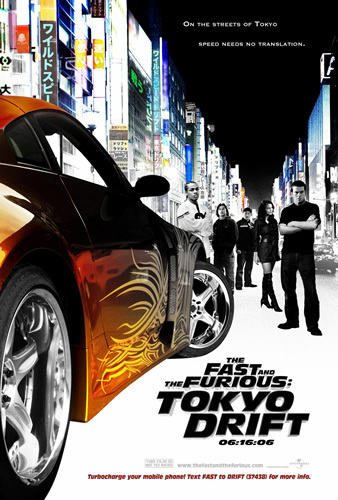 Car chase movie are some of the most exciting and thrilling films to date. 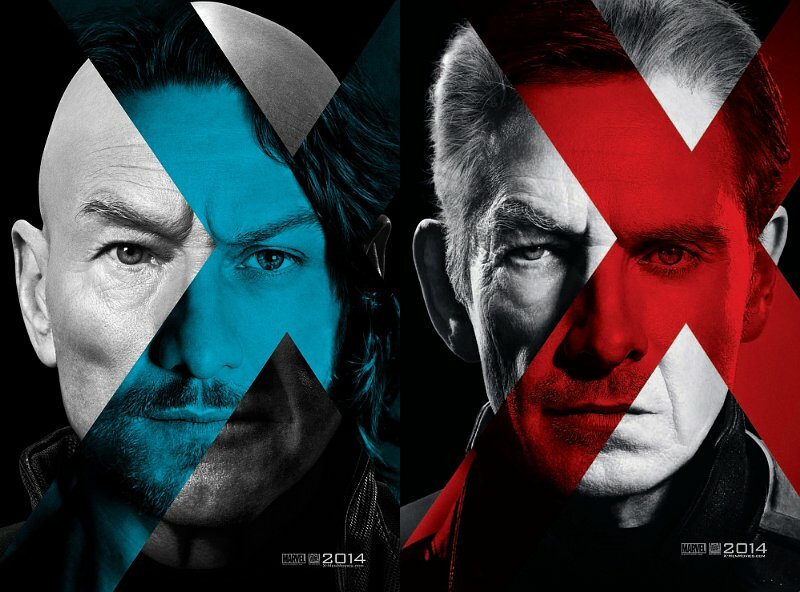 You can tell when you have such good actors attached to these types of films. One thing I can say , when you want action and non stop thrill rides you will always find them in movies with great car chases.